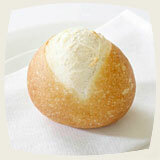 minute’ bread® is the very latest breakthrough in frozen, pre-baked bread and is quick, easy and foolproof. Pre-baked and then blast frozen at breadsolutions, the bread goes directly from the freezer to the oven for only 2-3 minutes. With such a quick final bake and without the need for thawing or steam facilities, minute’ bread® is the ultimate solution for when you want delicious, hassle free, freshly baked bread. 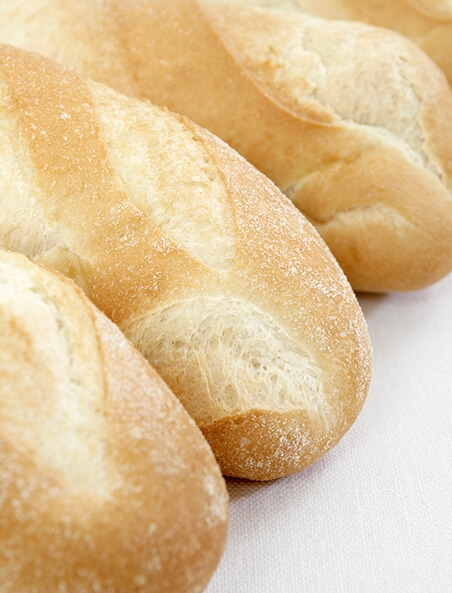 Due to a shorter overall bake time than parbaked bread, minute’ bread® retains more moisture and delivers a superior quality product with a much longer baked shelf life. Range includes Cocktail Rolls, Petite Pains, Baguettes and 500g Viennas.